Acrylic paint is water soluble under most circumstances, so it is reasonable to believe that you can thin acrylic paint with water alone. Sometimes you have acrylic enamel, and that needs something different. You will learn the best techniques for each product. Acrylic paint is water soluble under most circumstances, so it is reasonable to believe that you can thin acrylic paint with water alone. Sometimes you have acrylic enamel, and that needs something different. You will learn the best techniques for each product. Add water to acrylic paint. This paint, commonly used for acrylic canvases and other decorative acrylic-based art, is made of a product that forms a plastic coating when dry. It comes out of the tube at full-color strength but can be thinned to the consistency of water color by adding water. Use a palette knife and palette to experiment with color concentrations. 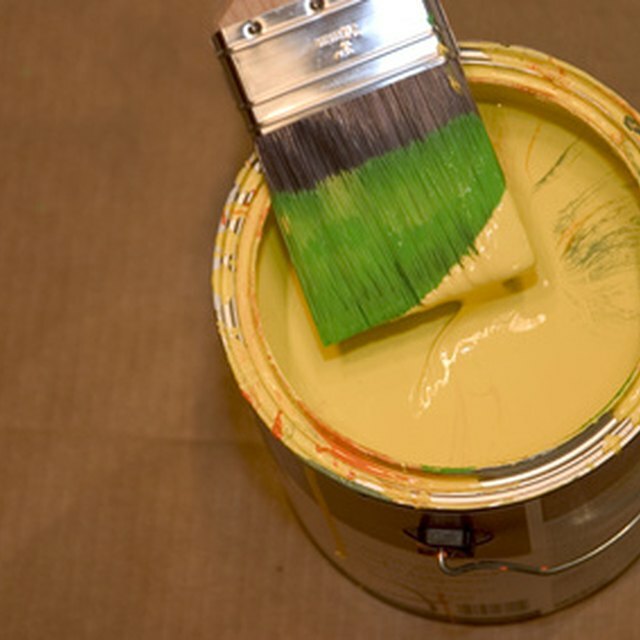 Once dry, acrylic paint cannot be reconstituted with water. Add gesso to the paint. Gesso is a canvas sizing that makes acrylic or oils adhere better. It does slightly lighten the color of the paint, but it will thin and extend the paint. Thin and extend acrylic paint with a textile medium. Many artists prefer to this water-soluble product to produce a smoother finish to the final product. Thin the paint with mineral spirits. Not all acrylic paint is water based; some are oil based and can only be thinned with mineral spirits. You can add rubbing alcohol to this product as well to thin the paint. Acrylic paint is favored because it dries almost instantly. It is versatile and can be thinned enough to use as a spray or even more to use as a thin watercolor substitute. It is recommended that you use acrylic paint at its full strength for the right concentration of color on your project.